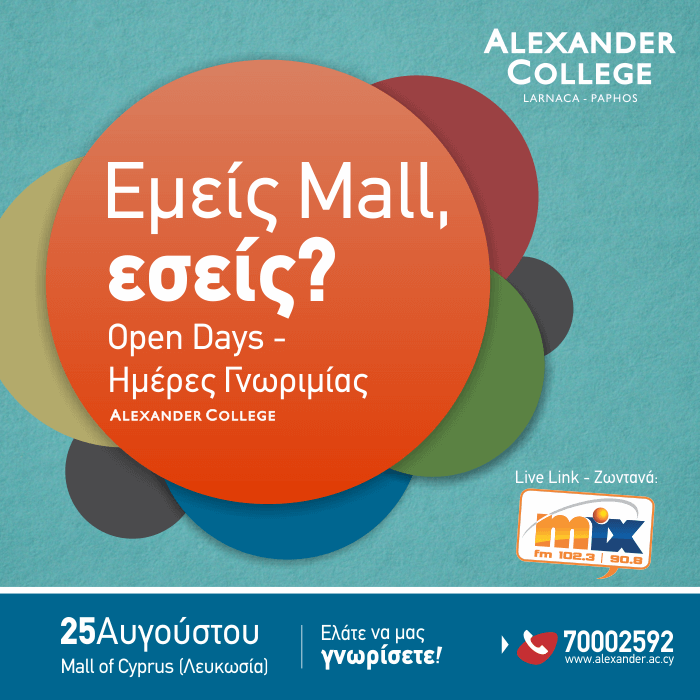 Alexander College in Larnaca and in Paphos, will be holding their next Open Day at The Mall of Cyprus in Nicosia on Friday 25th August 2017 from 11:00am till 8:00pm. The College will be providing information on the UK degree courses they offer in collaboration with the University of the West of England in Bristol and answering visitors’ questions regarding scholarship offers, tuition fees, course content, facilities and other relevant areas. In addition, visitors who register onto any UWE Bristol undergraduate course on Open Day, will benefit from a free laptop, courtesy of Alexander College, which they will receive before they commence their studies at Alexander College in Larnaca or Paphos.